How do farmers growing crops on steep mountain terraces in one of the most remote canyons in Peru even subsist from their effort? One answer is that they grow crops that fill niches and process them to receive a premium price. Asociación Especializada para el Desarrollo Sostenible (AEDES) is a nongovernmental organization in Arequipa that has partnered with farmers in the Cotahuasi River Basin to produce and market quinoa and amaranth, crops that have been features of Andean agriculture for centuries. When AEDES submitted a proposal to the Inter-American Foundation (IAF) in 2000 requesting financial support for post-harvest activities, it had already introduced farmers to organic methods and they were preparing their land for the certification process. A year later, AEDES received an IAF grant worth $300,000 to be disbursed over three years for the second phase of its program, the crucial steps to process the harvest for domestic and international markets specializing in organically-grown foods. AEDES invested $54,500 in cash and $77,500 in kind using its own resources and mobilized $389,500, mostly in kind, from other sources. The results of AEDES’ project were collected and analyzed using the Grassroots Development Framework (GDF). The GDF measures results on three levels: the individual or family level; the organization or grantee level, and the community or society level. At the lower level of the cone, AEDES’ project positively impacted 916 individuals as measured by indicators such as training, application of skills, jobs created and income. At the mid-level, AEDES reported on microloans awarded, resource mobilization and partnerships. AEDES did not report on any indicators at the upper level, but its emphasis on the producers’ transition to organic production and pooling crops to offer the volume that attracts buyers, paid off. AEDES used its IAF grant to provide technical assistance, equipment, training and credit to the farmers and their collective enterprises. It also worked with farmers to build processing facilities and to improve the quality and uniformity of the harvest. In collaboration with the Asociación de Productores de Cultivos Orgánicos (APCO), it introduced a center to classify, grade and package the crops for market. By the time the IAF’s support terminated in 2004, AEDES had trained 916 of the 1,000 farmers initially proposed. 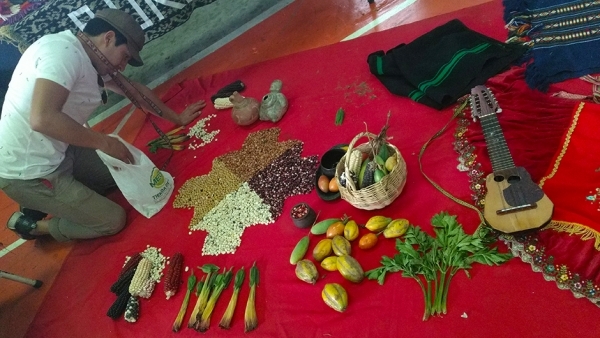 Participants belonged to four grassroots associations: APCO, Asociación de Productores de Plantas Medicinales Ecológicas (APROPLAME), Asociación de Apicultores Orgánicos (ADAOLU) and Asociación de Criadores de Camélidos Sudamericanos de Puyca (ASOCCS). Although ADAOLU and ASOCCS had nothing to do with crops, AEDES trained their members based on its belief in strengthening incipient associations and expanding the range of organic products for sale. To add more value to organic produce, AEDES engaged the services of two businesses that it created using IAF funds: Centro de Formación Tecnológica Empresarial y Servicios (CEFOTES), a cleaning and sorting facility, and Laboratorio Farmacéutico Ecológico del Sur (LAFARMES), which analyzes compliance with health and safety requirements. AEDES also worked with farmers to launch microenterprises that processed quinoa and amaranth into flour and flakes. At first, the new microentrepreneurs rented equipment from CEFOTES. Aware they could not compete with larger facilities that supplied foreign markets, they seized on the opportunity to cater to food-subsidy programs operated by the local government and soup kitchens run by volunteers in poverty-stricken areas. In all, eight microenterprises were launched with loans extended through a program that AEDES created with $75,000 from the IAF. AEDES contracted FONDESURCO, a financial institution operating in southern Peru, to manage the loan program. Over the life of the project, FONDESURCO extended 11 loans worth a total of $28,905. A principal borrower was APCO, which used loans to pay farmers in advance for their harvest. Prior to the termination of its IAF grant, AEDES received authorization to channel all but $25,000 from the loan fund to cover construction costs for CEFOTES’ Tomepampa processing facility and to expand its own training program. The loan program continued after the project ended, but in 2007 AEDES opted to end it and use the funds as counterpart for a project in La Unión sponsored by the Peruvian government. The vacuum created was quickly filled by FONDESURCO. Aware of the demand for business loans in the area and low rate of default, FONDESURCO opened a branch in Cotahuasi. AEDES met its goal to improve farmers’ income, which rose 400 percent over the life of the project. AEDES helped farmers use organic practices to grow quinoa and amaranth, two crops suitable for export due to their comparative advantage. APCO and APROPLAME, an association of farmers who switched from cultivating medicinal herbs to growing quinoa and amaranth because of higher profit margins, managed collection, storage and processing. CEFOTES collected a fee for cleaning, sorting and grading. APCO is CEFOTES’ principal customer; accounting for 95 percent of the total quinoa and amaranth processed. APCO contracted IRPAÑA, a firm run by a former member of AEDES, to negotiate with foreign buyers. Although APCO’s staff promoted quinoa and amaranth in trade fairs showcasing organic foods, such as Biofach and Anuga in Germany and the Natural Products Expo in the U.S., they did not have the education or expertise to finalize transactions and left this to IRPAÑA. This kind of dependency limits APCO’s chances to profit more substantially from quinoa and amaranth. Learning organic techniques helped farmers increase the profitability of their crops and they made a seamless transition to production that was 100 percent organic. They could not afford to buy chemicals and the remoteness of their farms made transporting commercial fertilizers impracticable. At first, AEDES used IAF funds to pay for the organic certification required by specific clients. Now, APCO and APROPLAME cover the cost. In the case of APCO, 117 members received higher prices for quinoa and amaranth certified as organic. They used the additional income to launch retail businesses or buy taxis or trucks for hire. AEDES continues to help poor farmers who grow quinoa, wheat, barley, oats and other highland crops make the transition to organic production. Resources mobilized from international and domestic donors include a second grant from the IAF in the amount of $299,000 to expand to Puno and continue its assistance in Cotahuasi, in particular, training in leadership and negotiating skills and the development of business plans and marketing campaigns. AEDES had an impact across the province because farmers gained recognition as growers of crops certified as organic, which facilitated access to global markets and better prices. “Over the last few years, more than 1.5 million soles (approximately $577,000) went to producer families,” said Andrés Quispe, a former leader of APCO. 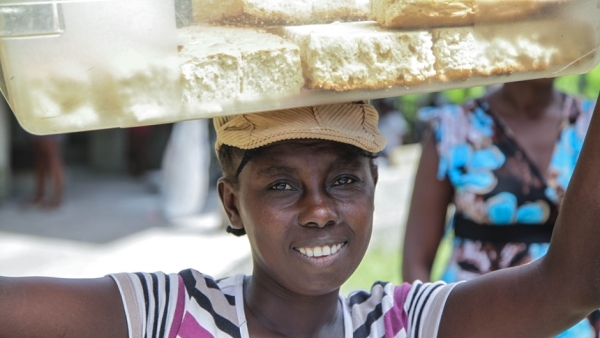 More cash led to more economic activities, benefiting more people in the communities. Farmers in the Cotahuasi River Basin continue to improve the quality and uniformity of their harvest by applying organic practices learned before the IAF awarded AEDES a grant. APCO and APROPLAME have successfully collected members’ production to channel to CEFOTES for processing. APCO and IRPAÑA market production, with IRPAÑA leading negotiations. Sales of quinoa and amaranth sales to organic food markets in Peru and abroad have benefited 156 farmers, but revenues are insufficient to cover CEFOTES’ operating costs. CEFOTES must process 240 metric tons annually to break even but has yet to process more than 206 tons. This means AEDES subsidizes CEFOTES because otherwise APCO and APROPLAME, could not export their production. ADAOLU and ASOCCS depend on funding from external sources. Once the IAF’s support ceased, so did their activities. Members of the two associations continue individually to produce and sell honey and llamas. AEDES continues to offer assistance to farmers in the highlands of Arequipa and, with funding from Peruvian and international donors, its coverage has expanded to neighboring Puno. From the farmers’ perspective, AEDES strategy for diversifying crops helped reduce vulnerability to price fluctuations. When the price of one commodity is down, farmers can fall back on other crops. The transition to organic production worked well. APCO obtained certification for 11 crops and APROPLAME for eight. The CEFOTES processing facility was also certified, a requirement of prospective buyers of organic products. The remoteness of Cotahuasi did not prove to be a problem in transporting products to market. Although the area has just one road that flooding and mud slides can close at any time, crops are dried before they are shipped and they can be stored during delays. Quinoa and amaranth proved to be the most profitable crops grown in Cotahuasi and the only crops exported. The most disappointing aspect of the project was the inability of producer associations to take over more phases of the supply chain. Although they worked closely with processors and received professional marketing support, their limited education and expertise proved limiting. AEDES’ strategy of product diversification diluted success with any one product. AEDES became overextended by providing assistance and training to ADAOLU, the beekeepers’ association, and ASOCCS, the camelid association. Both associations are currently inactive. APCO is wholly dependent on a single client for its export of quinoa and amaranth. Although the German buyer pays APCO in advance for the harvest certified as organic, APCO’s members do not have the right to sell their products to other buyers as “organic” because the members did not pay for the certification process due to its cost. APCO’s bylaws limit its director to one-year term, which is insufficient to build stability and continuity. Members’ trust in APCO’s leaders is nonexistent. AEDES accomplished the goals articulated in its proposal. Farmers in Cotahuasi adopted organic practices introduced by AEDES, which facilitated their associations’ access to domestic and international markets and participation in fairs and trade shows. AEDES came up short in passing control of the processing and marketing phases of the project to the farmer associations, which were unprepared to take over. This was understandable in 2004, because they were still learning, but by 2012 the associations should have become prepared. Organic production does not necessarily translate into a higher return for farmers even if it is certified. In Peru organic and nonorganic production commands the same price. Selling to a single foreign client after years of fairs and trade does not bode well for the farmer associations or for AEDES. Perhaps, it is better for all stakeholders to rethink the marketing strategy.